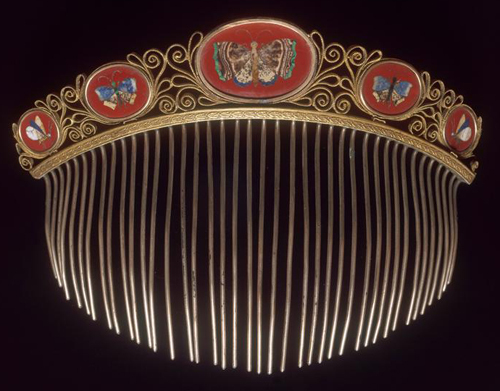 The Rococo style of jewelry making slipped into obscurity in 1785. Napoleon Bonaparte and his Empress Josephine brought the Empire style to prominence during his rule as Emperor of the French from 1804 to 1815. 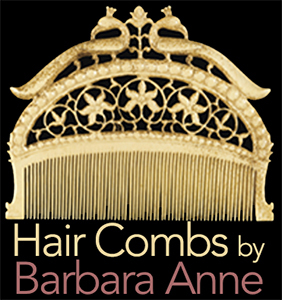 Combs had curves, elaborate floral designs and scrollwork to show off jewels or enamel paintings. 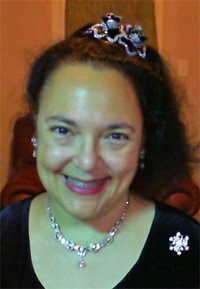 From 1820 to 1870, there was a revival of the Empire style, especially in Victorian England. 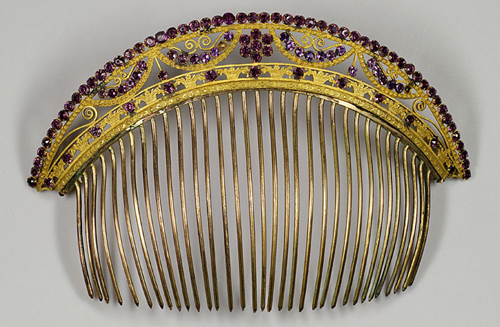 Because of the Repoussé gold work, where artists hammered gold patterns by hand, I would date this comb c. 1840. 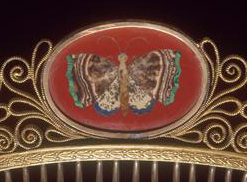 The enameled butterflies are magnificent, and the comb resides in a museum. 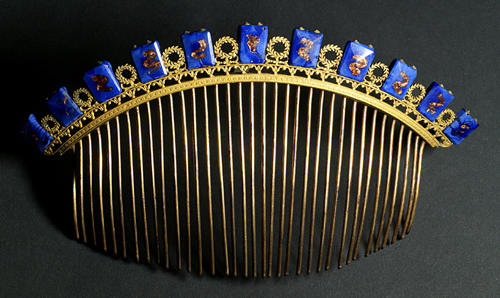 The second one has gold-inlaid lapis-lazuli stones alternating between instances of Napoleon’s laurel-wreath crown. Wow.